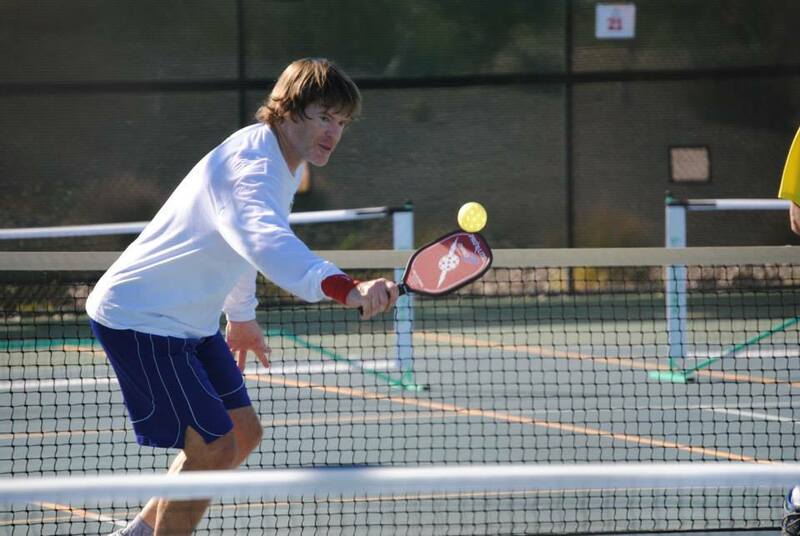 Billy Jacobsen’s name is synonymous with “Pickleball Pro” Everybody knows Billy. 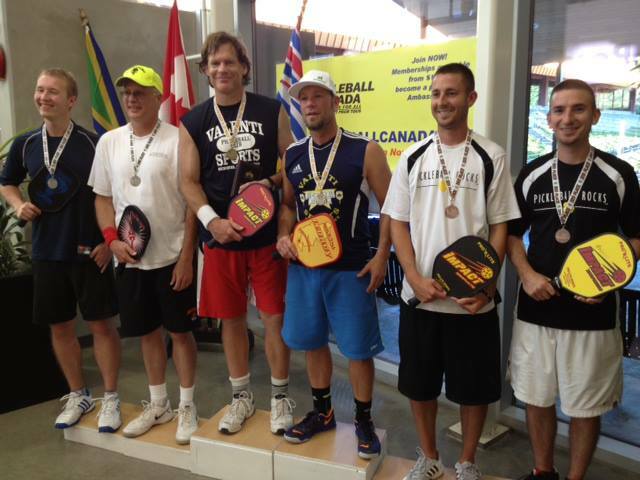 Shirley Shepherd, president of Pickleball Canada, posted on Billy’s Facebook page in September: “Congratulations Billy on your Silver medal and cash prize at the Tournament of Champions in Utah!” Billy is a pickleball star! I’m so glad he agreed to share some of his story here. Thanks, Billy! 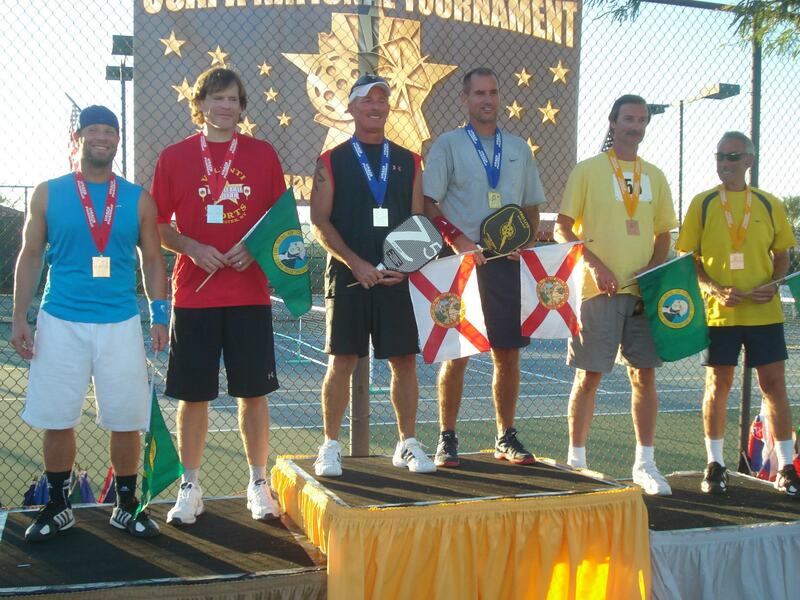 I have won over 50 Open Men’s Singles and Open Men’s Doubles medals over the years. I have played with most all of the Pro-lite paddles. I’m going to give the Rocket a try next. I played pickleball for the very first time at a tennis club for about 20 minutes when I was 16 years old. Then I tried it again at the University of Washington when they converted the badminton courts for 2 weeks of pickleball play at their recreation center. After playing a grand total of 4 times in my life, I entered my first pickleball tournament in open mixed doubles, and won it! I did the same thing for the next 3 years. I have played at least one pickleball tournament a year for 33 years straight. As far as I know, that makes me the only single player in the history of the game to have played tournaments for this long. I hope I get to play many more in the years ahead. I have played 99% of my career outside. I rarely play indoors other than at a tournament. For most of my career, I have only played indoors during a tournament 2 to 4 times a year. I like outdoors the best, but indoors is good only if the lighting is good, which isn’t too often. I like both, but probably prefer singles in that you win and lose on your own. Working together in doubles play, what does that look like? The best strategy is to be patient with your dinks and know where you are hitting your shots. Always try to dink to your opponent’s weaker side and, if possible, move the ball around. Anything high over the net, slam it at the opponent’s feet or in between both players. Always expect the ball to come back – don’t be caught off guard. Don’t be afraid to slam dinks at people. If you are playing poorly or are being attacked directly in front of you, then simply dink cross court as much as you can. Never be afraid to lose! If you lose, you lose. You may as well go out and play to win and have fun. My favorite place used to be at Lake Tapps, Washington, but they let the courts go to ruin. A friend of mine had a fantastic at home court, but he has long since moved away. Today, maybe Dan Gabanek’s court. We have some great doubles games when he has a bunch of top players over a few times a year. I have no secret sauce or anything unusual. I think you need to stay low and have good footwork for singles. With doubles, if you can learn to dink well you can always have a chance to compete. I help my wife out in the mortgage business. Plus I coach volleyball, basketball and tennis teams mainly with two of my younger kids teams. I also give private tennis/pickleball lessons. How many hours a week do you play? How do you make the time to play? I rarely play in the winter – usually don’t pick up a paddle for 6 to 8 months, so just play in the summer. It probably averages out to be a 3 to 8 hours a month (some years more, some years less). I definitely do need to play more, just hasn’t happened. My only dream in pickleball is I hope to someday be able to play in a tournament after being cured of type 1 diabetes. Been hoping for over 38 years and it may never happen, but a guy can dream. For me I just enjoy the hard exercise of the singles and I really enjoy the social aspects of the doubles. Social doubles is a lot more fun than tournament doubles as to everyone is sharing the ball. It is an easy and very fun sport to play. I hope over time more and more people get introduced to the game and it becomes a lifelong habit. « Is Pickleball Special?- Just Ask John Gullo!